CPI y/y – The Office for National Statistics will release Inflation figures at 9:30 (GMT). The CPI shows the change in the price of goods and services purchased by consumers. Logically, the increased prices show increased demand and increased demand shows good labor market. When both, the labor market and inflation is on the track, we can expect central banks to hike the interest rates. Even if we don’t see a rate hike, investors still trade the currency with the bullish sentiment. PPI Input m/m – Though less important than CPI, we need to make sure that it’s not releasing widely different than the forecast. Overall, it’s also a leading indicator of consumer inflation. When manufacturers pay more for goods, the higher costs are usually passed on to the consumer. Empire State Manufacturing Index – Today at 13:30 (GMT), the Federal Reserve Bank of New York will be releasing the empire state manufacturing index. It’s expected to be 18.5 vs. 18. A figure above 0 indicates improving conditions, while below 0 indicates worsening conditions. On the 3 – hour chart, you can see the Cable is taking a breather below $1.3815. This is because of the high impact news from the UK, the inflation data. Traders would like to see the CPI release, before committing themselves to any specific direction. The positive figures will cause a bullish breakout until $1.3830 and $1.3875. Whereas, the negative data will push the pair deeper towards $1.3735. 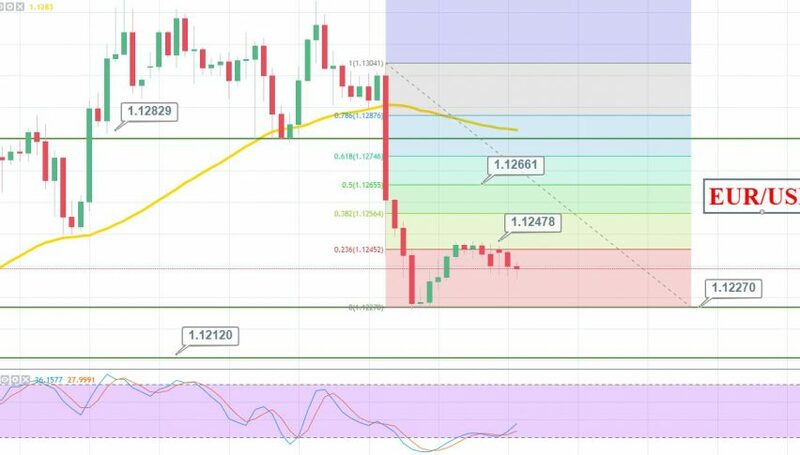 Monitor $1.3775, below this we may see massive selling until $1.3735 and $1.3680. On the other hand, we can stay bullish above $1.3780. It’s all depends on the UK CPI figures later today. – Hawkish Monetary policy sentiments from the Bank of Japan. The JPY became oversold and has started coming out of the oversold range. All we need to do is to wait for a pullback to get another selling entry in the pair. As soon as the market retraces back to $111.250, we may see another drop until $109.600. The idea is to stay bullish above $110.70 with an initial take profit of 111.020 and 111.275. $111.300 looks like a good level to take a sell position. Good luck!